Home Featured Home One more reason to buy T-Seps. 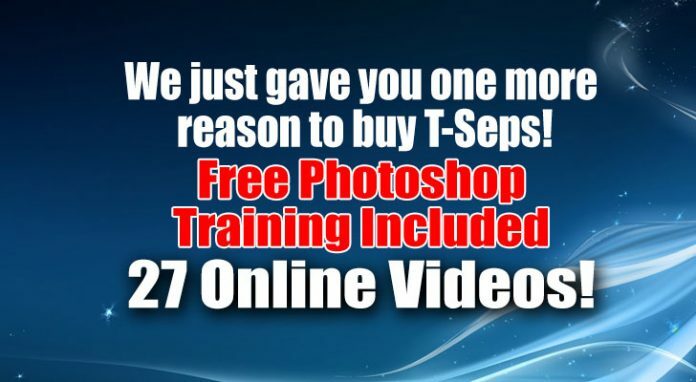 FREE Photoshop Training. We are now giving you one more reason to buy T-Seps. With the purchase of a full version you now get our entire Online Photoshop Master Class for FREE. This includes all 27 videos with almost five hours of instruction from Scott Fresener – the Photoshop master. Previous articleWe Have Over 200 Industry YouTube Videos!